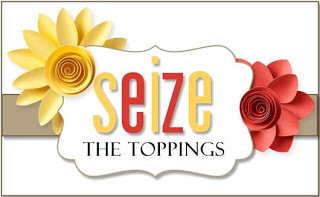 This time around the "Toppings" options is to use two patterned papers. I love patterned paper and have a ton of it, so I had fun with this challenge. 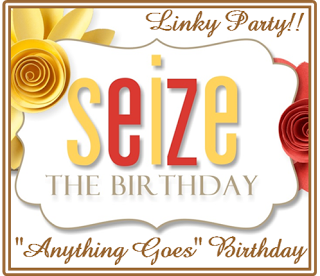 But remember, you can also chose to do an Anything Goes birthday card, the choice is yours! I used my favorite Cupcake stamp set from Avery Elle with matching dies, and paper from two different stacks. The cupcake frosting and flowers were colored with Copics. Nothing fancy here, a simple card, really! 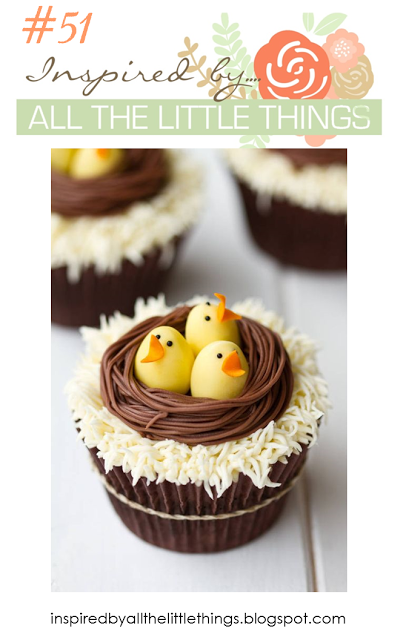 I'm also playing along with the cupcake theme at Inspired by all the Little Things. I didn't have cute little chicks to put on my cupcake, but I did have three yellow flowers! Love the card! Yellow and green match so well, and I love the layered look. Oohh, such a sweet card! Love the simple pattern papers and the color combination looks really great! What a great birthday card. That's a perfect cupcake! Thanks for playing along with us at Inspired By. That is the most beautiful cupcake I have ever seen. This is so gorgeous, Sandy! And how clever to use those beautiful yellow flowers to represent the chicks! Love your card with that pretty cupcake. I like the 3 little yellow flowers on it and the pretty pattern paper you used. Have a great weekend and Happy Easter. I love the cupcake image!! and the papers you used are so sweet!! Whoever gets this card will be twice blessed! I love the flowers you put on that terrific cupcake! Your cards are really inspiring me! Happy Easter to you and yours! What a sweet cupcake with the little flowers!!! Love the layout and your choice of the papers! This is so clean and lovely! Love the layout and the colour combo.